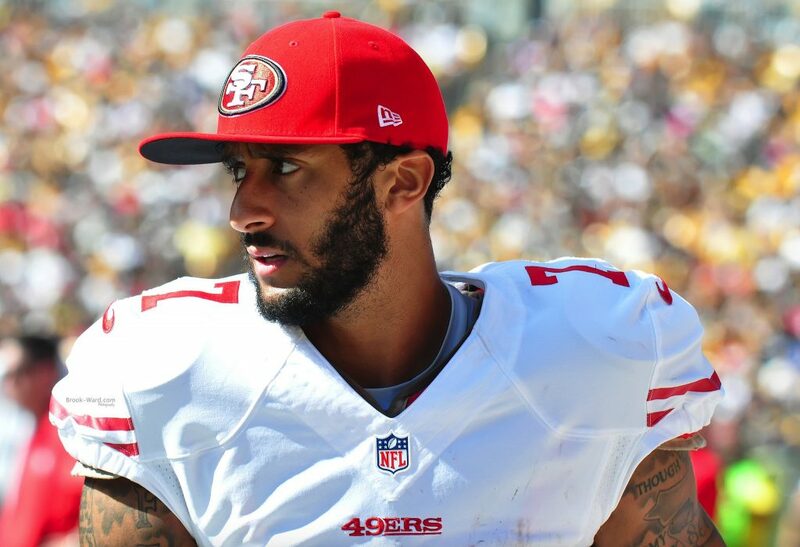 Broadly speaking there are two sides to the Colin Kaepernick debate. There are those who support his decision to protest against police brutality and racial discrimination. On the other side, some believe taking a knee during the national anthem was disrespectful and unpatriotic. Generally those that support Kaep believe his status as a free agent is a consequence of the protest. Their opposition tend to argue that his mediocre win – loss record is the reason for his inability to secure a spot on an NFL roster. The collusion grievance he filed against the league has the potential to settle this debate once and for all. The world of football could’ve stopped speaking broadly and dealing in generalities, and got down to specifics. Did the NFL really blackball Kaepernick? If so, how many teams were involved? Were the higher-ups in the league office, perhaps even commissioner Roger Goodell, in on it? Since Kaepernick agreed to a confidential settlement with the NFL, these questions will remain unanswered. In analysing the circumstances of the case one must operate under assumptions based on what’s in the public domain. The Associated Press on 15 February reported that Kaepernick was approached to play for the upstart Alliance of American Football. He asked for a contract in the region of $20 million and the league balked. Days after the talks between Kaep and the AAF fell through, he reached his agreement with the NFL. Connect the dots as you see fit. Kaepernick’s former teammate and fellow protestor Eric Reid also settled his own collusion suit with the NFL. Reid signed a deal with the Carolina Panthers in 2018. So, Reid, through settling his case against the league, personally gained something from his protest despite never spending significant time away from football. Reid took a knee during the anthem before his debut with the Panthers and will come back in 2019. This effectively refutes the notion that it was protest preventing Eric Reid from getting signed. The real reason he had to wait for a call in the first place was the nature of the market for players at his position. Kenny Vaccaro is every bit as good a safety as Eric Reid. The Titans only picked him up when starter Johnathan Cyprien tore his ACL. Vaccaro didn’t file a suit against the league and he certainly didn’t gain anything from waiting a few months longer to sign a deal. The only difference between Eric Reid and Kenny Vaccaro is the former took a knee during the national anthem. Neither Reid nor Kaepernick remained silent during the 2018 season. When the Panthers met the Philadelphia Eagles, the former Pro Bowler instigated a physical confrontation with Eagles captain Malcolm Jenkins. Jenkins is a member of the Player’s Coalition, a group of the kneeling protestors who came together to lobby the NFL. And lobby they did. The league agreed to donate millions of dollars to social justice campaigns on behalf of the Coalition. In exchange, the group’s members ended their protest. Eric Reid maintains that Jenkins is “a sell-out” because of this deal. That deal and these settlements couldn’t be more different. If the Player’s Coalition sold out, what does that make Reid and Kaepernick? The terms of the Coalition’s deal are public knowledge and they benefitted the cause they protested for, not the players themselves. The terms of Reid and Kaepernick’s settlement are subject to a non-disclosure agreement. Only the two plaintiffs stood to gain anything from settling. Eric Reid looks like a hypocrite, as does Kaepernick by extension. The former Niners quarterback tweeted his support for Reid during that Eagles – Panthers clash. Kaepernick’s protest was never about the national anthem. It was about fighting social injustice in the United States. For that, he must be commended. However, there is no denying that this settlement taints his legacy as an activist. There’s little doubt that Kaepernick made out handsomely from that settlement. His massive Nike ad campaign produced the slogan, “Believe in something. Even if it means sacrificing everything.” Colin Kaepernick may believe in something, but he did not sacrifice anything. Except perhaps his integrity.